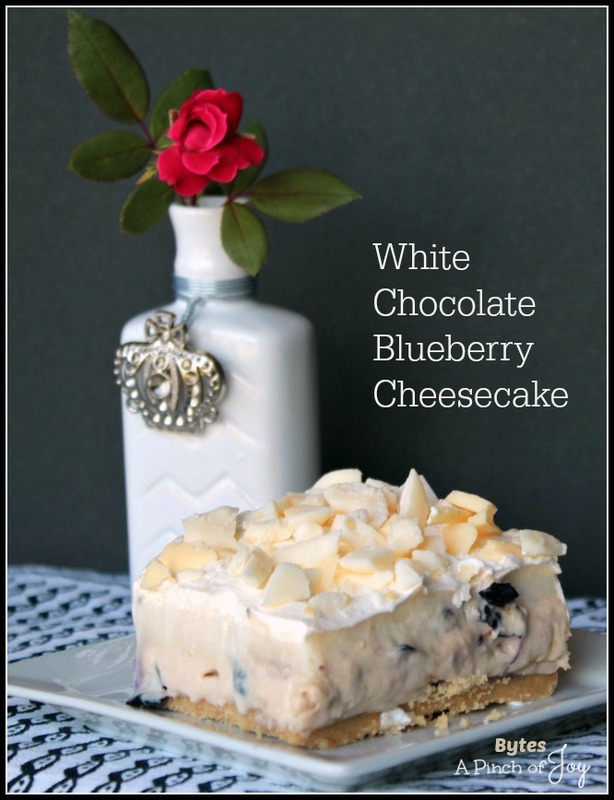 When Bytes cousin was visiting several weeks ago, she challenged him to try a recipe for White Chocolate Blueberry Dessert she thought sounded really good. He got the ingredients and “aged” them in the pantry. The fruit was used in another recipe but a second container was later purchased and waiting in the fridge. Then Wheels asked Bytes last Friday if he wanted to come along for a dinner out to celebrate my birthday. He said yes, and then committed to making a dessert for after dinner. It was a celebratory dessert worth waiting for! Bytes tweaked the recipe and took photos of the process – a creative bloggy birthday gift. 🙂 My sister and mister joined us for dessert later in the evening. Their card said “I wish you a day full of smiles. . . “ That dessert was certainly smile worthy! Oh my goodness – it was sooo good. Creamy, crunchy, bursting with fruit. Oh so light with a delectable golden Oreo crust. Heavenly white chocolate on top. All melded together in divine harmony. Use food processor to crush a package of whole golden Oreo cookies into fine crumbs. 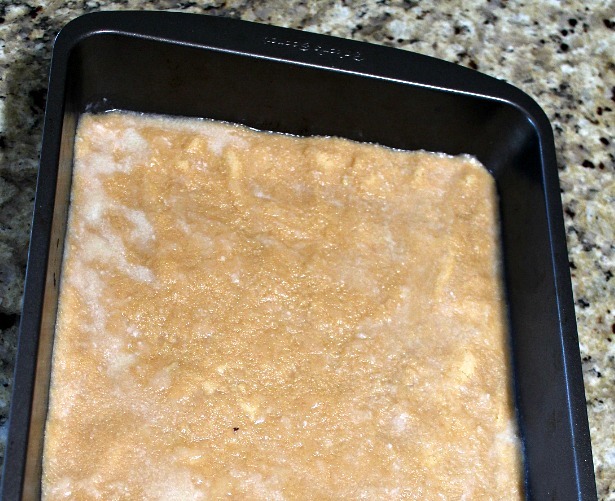 Stir in melted butter and and press into 9×13 pan. Refrigerate while preparing the rest. 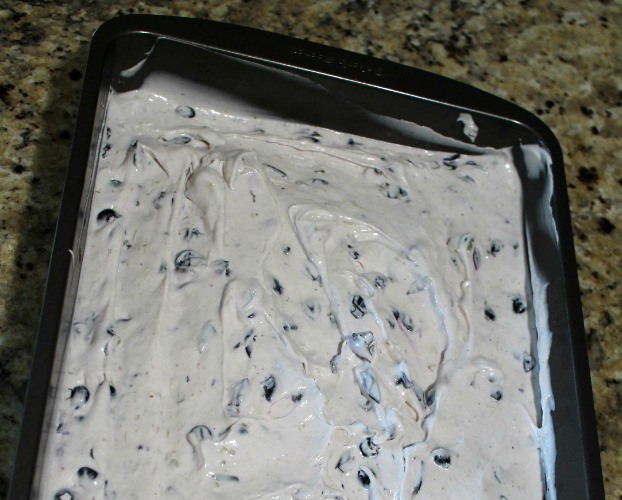 Mix cream cheese layer, fold in blueberries and spread over the Oreo crust. Place back in refrigerator. Combine milk and white chocolate instant pudding, beating until it begins to thicken. 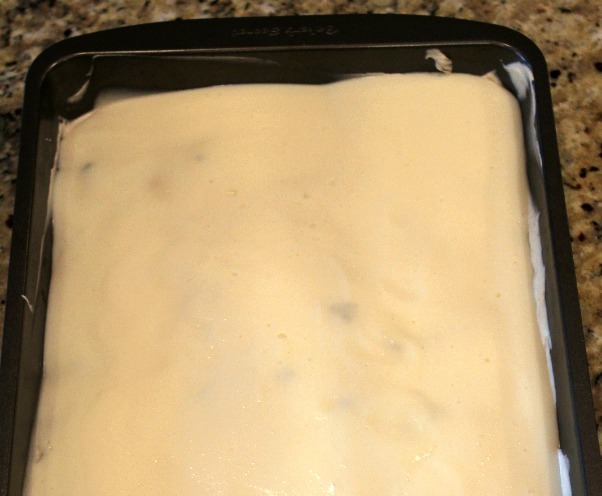 Spread over cream cheese layer and return to refrigerator to firm. When pudding layer is set, spread whipped topping over the dessert. Top with white chocolate shavings or pieces. Refrigerate at least 3 hours before serving. May your day be full of smiles! 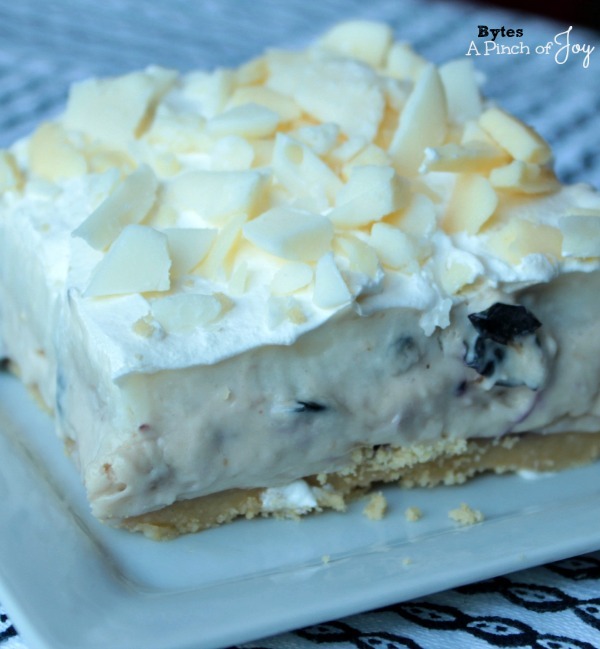 No bake light, creamy and full of sweet berries -- heavenly dessert on a golden Oreo crust. Guaranteed to make you smile! Use food processor to crush a package of whole golden Oreo cookies, including filling, into fine crumbs. Pour into 9x13 pan. Melt butter in small microwavable dish, about 1 minute depending on microwave. Pour melted butter into the cookie crumbs. Stir melted butter into cookie crumbs until well mixed, then evenly press into pan. Refrigerate while preparing the rest. Mix cream cheese, softened butter and powder sugar, beating well. Mix in 1 ¼ cup whipped topping. Spread evenly over the Oreo crust. Combine milk and white chocolate instant pudding in medium bowl. Beating until it begins to thicken, in 2-3 minutes. Spread over cream cheese layer and return to refrigerator to firm. When pudding layer is set, spread whipped topping over the dessert. 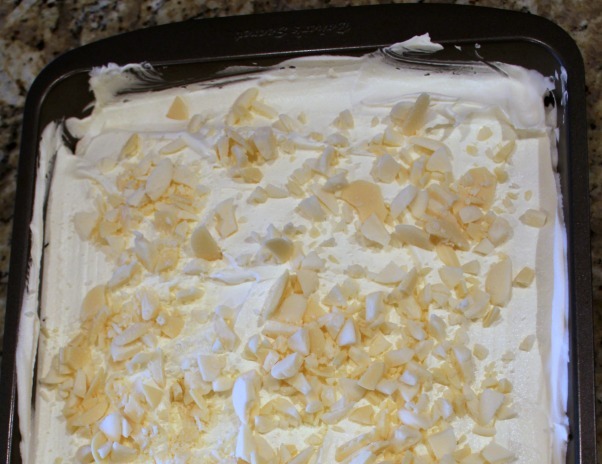 Top with white chocolate shavings or chopped pieces. Cover with clear wrap and refrigerate at least 3 hours before serving. It was really yummy! Glad we got to share in your birthday celebration. We are so glad you were able to share too!